Sean Dorney's presentation ABC report on illegal tuna fishing in the Pacific on 28 October 2013. HOW IRONIC. For two days this week, veteran Pacific affairs correspondent Sean Dorney from Australia Network was contributing hugely to an inaugural regional business media summit organised by the Asian Development Bank. His final contribution to the seminar was a rundown on “tunanomics” and how illegal fishing was, for him, the biggest economic story confronting the Pacific. He punctuated this presentation with an ABC video report from last October which exposed how lack of cooperation by at least six Pacific countries was undermining the Forum Fisheries Agency’s surveillance efforts. Anthony Bergin, the Deputy Director of the Australian Security Policy Institute, estimates that about US$1.7 billion is lost through illegal and unregulated fishing activity in the Pacific. He’s proposing that the Australian patrol boat programme should not only be a Defence Department commitment but that Australian aid should also contribute to the programme now being developed to replace those 22 patrol boats that Australia has donated to Pacific countries but which are coming to the end of their work life. 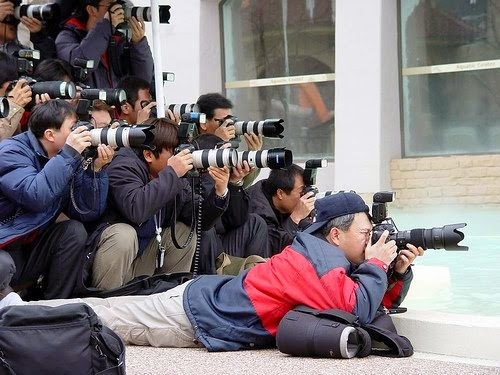 No sooner than his fine contribution and the ADB seminar was over, Dorney found himself in the gun again with Fiji media "control freaks" - Dorney's description - who seem determined to use the controversial 2010 Media Industry Development Decree to gag anything deemed to be “un-Fijian”. 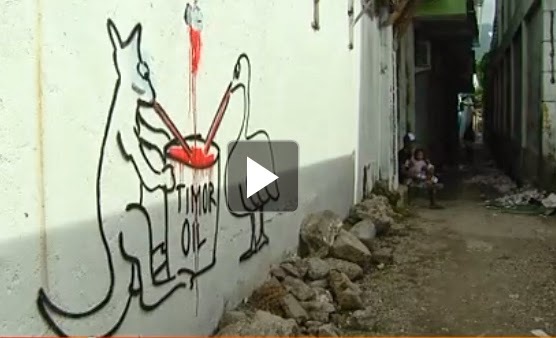 East Timorese media ... fears draft media law could lead to censorship. JOSÉ BELO, Timor-Leste’s celebrated champion of investigative journalism and advocate for a free media, recently vowed he was prepared to go to jail rather than allow his fledgling independent nation muzzle the press. Belo, 42, publisher of the small yet probing Tempo Semanal online and print weekly, says he won’t give up in the current struggle over the fate of the media. He has been campaigning against a draconian draft media law over the past few months. 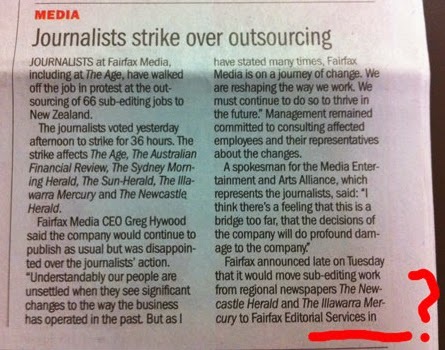 “It’s about the future of our country,” he told Fairfax Media’s Lindsay Murdoch. But the news about a draft law that is feared could lead to censorship is not getting any better. Since Café Pacific broke this story in early February, the Timorese non-government organisation La’o Hamutuk has been monitoring developments closely – and making quality submissions. WHEN Rachel Buchanan penned a commissioned article entitled “From the classroom to the scrap heap” for The Age last September, she railed against Australian journalism schools, in particular, over an alleged “lie” and “little integrity” of journalism education. She concluded that journalism schools were creating false career hopes; Australia didn’t need any more journalists, but needed nurses and doctors, engineers and actuaries and so on. AUSTRALIAN government negotiators were “shockingly close” to the oil companies in a controversial maritime treaty signed with the emerging nation of Timor-Leste in 2006, it is claimed in a new documentary about the recent spy drama that has stirred allegations of industrial espionage by Canberra. The ABC Four Corners investigation, “Drawing The Line”, by Marian Wilkinson and Peter Cronau, will be broadcast on Monday night. It provides fresh insights into Australian national security in the Asia-Pacific region in the post-Cold War environment. “Do governments too freely use espionage for economic advantage? And is it in the national interest?” asks the investigation. Earlier this month, a ruling by the International Court of Justice banning Australia from using documents seized during a controversial intelligence raid on the Canberra home of Timor-Leste’s Australian-based lawyer was hailed as a David-versus-Goliath victory by Australia’s neighbour. JEAN-PAUL SARTRE would have turned in his grave over the fate of his cherished daily newspaper. 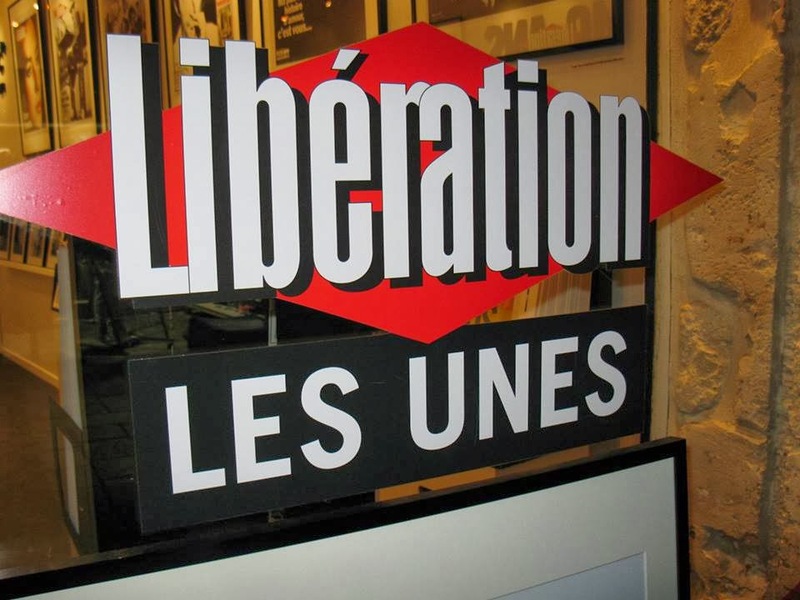 Founded by Sartre and Serge July more than four decades ago in the aftermath of the 1968 student riots in Paris, the left-leaning Libération has fallen on hard times. But the company’s new shareholders came up with a plan to rescue it that has been greeted with derision by staff. Founded on a non-conformist editorial policy that shunned commercialisation, the paper’s headquarters would be turned into a multimedia cultural centre, with a bar, restaurant, a TV studio and a social network “hub”. This new proposal followed failed negotiations to put the Libération’s online edition behind a paywall. SHAME on New Zealand politicians. With the courageous exception of the Green Party’s Catherine Delahunty, most of the rest offer a shameful silence over Indonesia’s human rights violations in West Papua. The Melanesian brothers and sisters of the colonised region, forcibly invaded by Indonesian paratroopers in 1962 and annexed under the fraudulent United Nations “Act of Free Choice” in 1969, have suffered under Indonesian atrocities and brutal rule ever since. 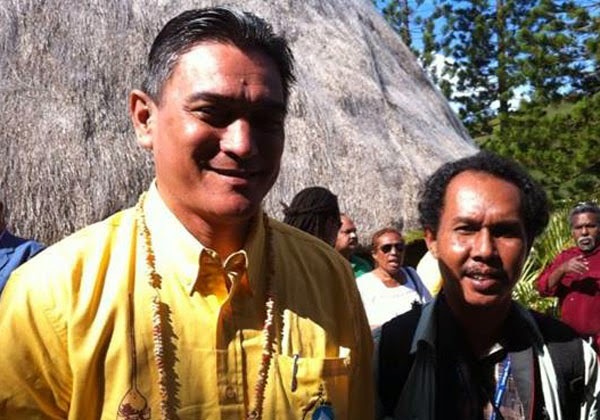 But it took the Prime Minister of Vanuatu, Moana Carcasses Kalosil, to take the podium at the United Nations Human Rights Council and condemn Jakarta for its past and ongoing crimes in West Papua, before the world took notice. This not only shames New Zealand, it also exposes most Pacific leaders for their lack of spine over Papuan human rights. When Vanuatu became independent from the British and French joint colonial condominium, better known as “pandemonium”, in 1980, founding Prime Minister Father Walter Lini was a champion for West Papuan independence. 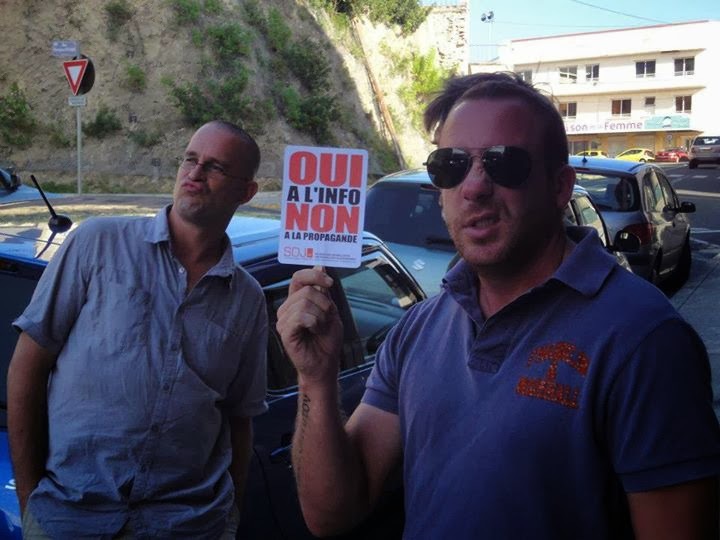 FEARS last year that drove journalists working for New Caledonia's only daily newspaper to go on strike have been borne out. At the time, journalists were worried about what would happen when Les Nouvelles Calédoniennes faced resale last April with a loss of journalistic independence. According to Economist and Pacific Scoop reports, they wanted any new owners to sign an agreement guaranteeing their freedom. The paper was being bought by New Caledonian business interests with reportedly close links to the territory's pro-French, anti-independence political forces. This followed the sale of the paper in December 2012 by its owners, Groupe Hersant Media, to a group including French businessman Bernard Taipe, which snapped up several newspapers across France and its overseas territories. Since last May 17, when the assets were finally transferred to New Caledonian ownership, Les Nouvelles Calédoniennes has been controlled by three local business interests.